The definition of perfect timing: dear friend (and generally a tech-y guru and delightful friend … with an even sweeter wife) was able to get me back into my website the day that my newest design was published! Now THAT is perfect timing. The Inishmann Vest is part of the newest Knit Picks’ collection, Woodsmoke Cable Collection. For the next 24 months, the only place you’ll be able to purchase this design is thru the Knit Picks site. 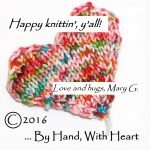 Since you can buy the yarn at the same time, it makes sense to purchase thru the website! Check it out … I think you’ll love the vest I designed and the 15 other projects contained in the Woodsmoke pattern collection. And thanks, John, for getting me back up and running and blogging just in time!